`What's so special about Thomond Park? The crowd. Simply the crowd. The atmosphere is electric.' Donal Spring, one of Munster rugby's greatest. Since the first game played there in 1934, Thomond Park has become one of the world's iconic rugby venues. It is a magnificent stadium, famous for many great occasions, notably Munster's 1978 victory over the All Blacks and the `Miracle Match' against Gloucester in 2003. It also has a worldwide reputation for tradition, wit and an outstanding sense of fair play. 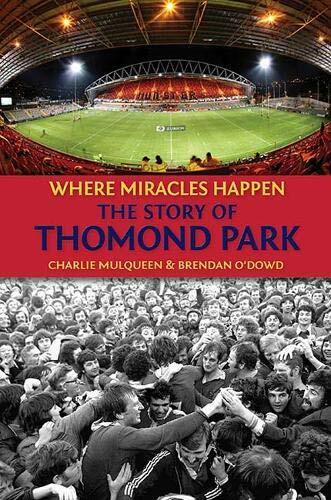 Here the history of Thomond Park is traced in a colourful and entertaining style, featuring some rare photos of Munster favourite Paul O'Connell, and highlighting great games played and great characters who have graced the arena.